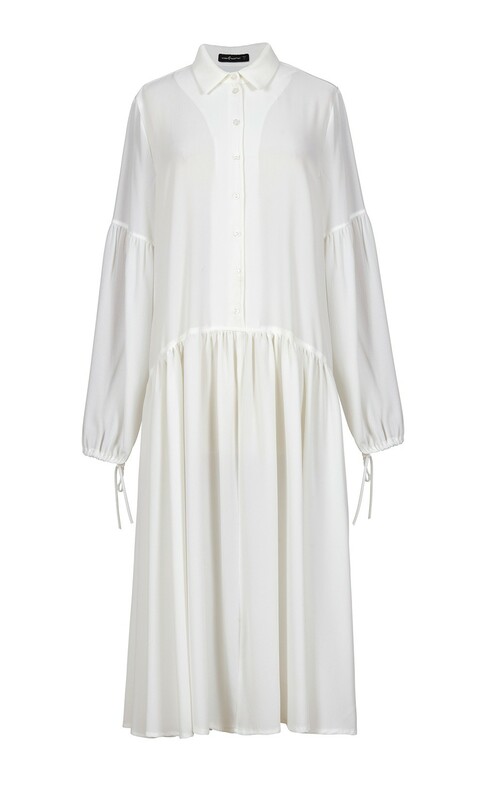 This DORIN FRANKFURT dress is inspired by classic shirting and is crafted from a sheer fluid georgette in an oversized silhouette with an ankle length hem. The dress is detailed with voluminous cuffed sleeves and matching ribbons for a romantic feel. 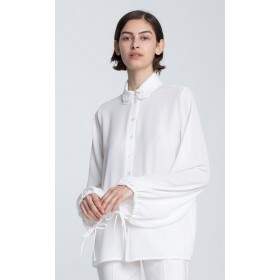 Cut for an oversized fit, it drapes from the dropped waistline and moves elegantly as you walk. The dress is also available in a floral version.